A picture of my post production studio. Software freedom is amazing! Used with the right hardware, it becomes limitless. Being part of the Purism team as well as the Ethic Cinema project, makes me do a lot of research in term of freedom in visual creations. Everyday, I realize a bit more, how powerful my free software based studio is when it comes to handling a professional film making workflow. And of course, as a film maker coming from the old school of proprietary technologies, I am so glad to know that now, I am in control. On a previews post, talking about A/V formats, I said that I didn’t know any camera that lets you be in full control of your footage. Especially if you are on a budget. Most of the time, you will have to deal with footage in a compressed, proprietary format. This can be a problem in a post production workflow because if you re-encode your footage based on an already compressed one, it will start to degrade. If you chose to keep your original footage, you will have to deal with the limitations that come from the proprietary nature of the formats. This may be true but there is a way to bypass the problem. Thankfully the amazing people from Magic Lantern came to the rescue! Magic Lantern is a video camera firmware that is released under the GPL license and runs on most Canon DSLRs (Are there some equivalents for other cameras ?). This firmware extends the functionality of the camera and most of all, lets you record your footage as RAW files. RAW files are brute data coming straight from the sensor. It is like a film negative that would have had no treatment yet. Based on this RAW file, we are free to export our original footage to the format that we wish. This step is what would happen in the camera in order to generate the footage. The camera would apply your color presets to the RAW data coming from the sensor end encode it to a usable video format. Usually an H.264 format within a MOV container. With Magic Lantern we have access to the RAW file, so we are in control. Once the RAW file is stored in the computer, it is time to generate our original footage. 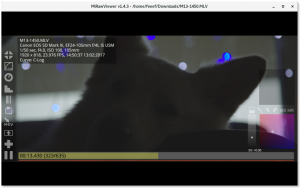 MLRawViewer is an amazing free software, made in python and based on FFmpeg. It lets you preview, color grade and encode your RAW footage. In its latests version (1.4), MLRawViewer only encodes as Apple ProRes (.mov) or Adobe Digital Negative (.dng) formats. Unfortunately, both formats are proprietary, so as part of the Ethic Cinema project, we have decided to contribute to MLRawViewer. We have added the free lossless Huffyuv (.mkv) format to the list as well as the ability to rotate the encoded video. We sometimes film with the camera upside-down when doing camera movements close to the ground with our steadycam, so rotating our footage during this process is very useful. While our changes are not merged into the original project, you can test it from our repository. Having the footage being encoded from RAW to a lossless format makes it keep its full quality (which wouldn’t be the case when using the built in H.264 compressed format). Gradients and details are perfectly preserved. It also gives us the ability to use the highest dynamic range available from the camera, or to use a custom LUT (picture style) that would suit our needs. Please, note that this step is not to be confused with the actual color grading process that takes place at the end of the post production, when the editing is complete. The goal here, is to prepare the footage to allow as much flexibility as possible during the color grading phase. Usually, we chose a very flat picture style at this stage, in order to make sure that we keep as much details as possible from dark to bright. All in all, the footage we get through this process is at the best possible quality and very close to what one could get from a very high end cinema camera. This was the missing bit of my workflow. I have now achieved full control and freedom over the whole post production workflow. I plan to make an Appimage build of MLRawViewer, but it is not done yet, so you will have to compile it yourself. First of all, you need to install git and python, along with pip. (I installed pyaudio with apt because for some reason it failed installing with pip). Note that you need to install version 2.7 of python as version 3 is not supported by MLRawViewer. It is now time to build the application. Don’t hesitate to ask any question in the forums if you have any trouble or if you wish me to post any tutorial related to multimedia manipulation with free software. You can use the PureOS area in the forums. I am very happy to help! 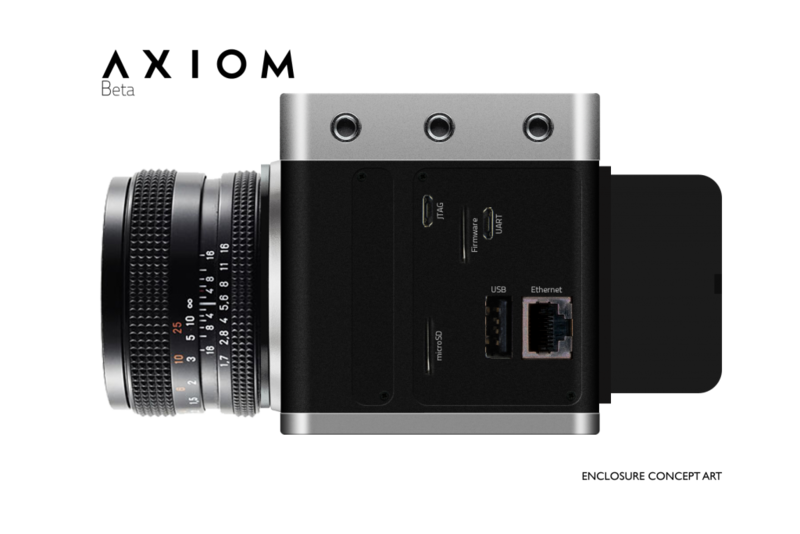 Well, how cool would it be to shoot with an Axiom camera ? … along with the new Librem 15 v3 !